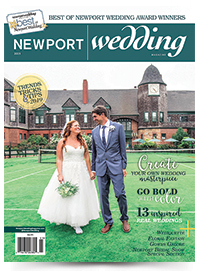 Winner* may choose from over 100 designs of His & Hers Wedding Bands crafted in New England by CrownRing OR Facets Bridal Rings, courtesy of Newport, R.I. jeweler Jason & Co. Up to $5,000 total retail value! Pictured below (left to right or top to bottom): Some examples from the CrownRing wedding band collection, now available in Newport, exclusively at Jason & Co . Popular designs from the Facets line for ladies, exclusively at Jason & Co.
Meet the lucky winners from years past! Click here.